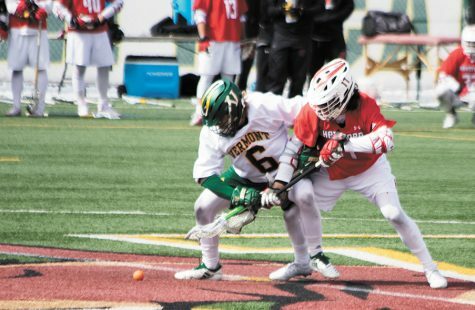 The men’s lacrosse team defeated University at Albany 10-9 April 6 marking their first win against Albany since Spring 2011, according to UVM athletics. 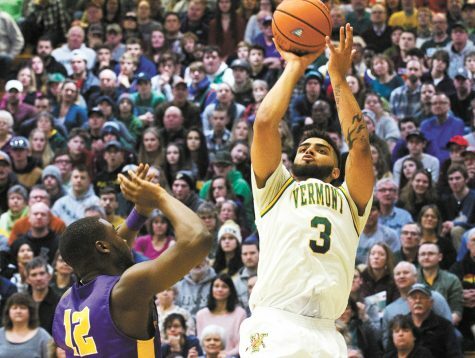 UVM fell to Albany last season, which eliminated Vermont from the America East Championship. Head coach Chris Feifs said he was very pleased with the outcome of the April 6 game. “I am really proud of the guys on an important team win today,” he said. 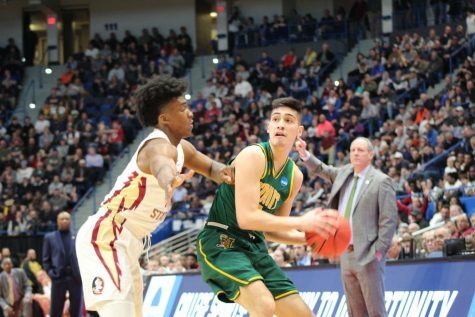 The game persisted with a steady back-and-forth of possession between the two rivals with Vermont eventually pulling out the win in the final minutes. The game began with impressive play from first-year midfielders Thomas and Jonathon McConvey. The two of them scored back-to-back goals 48 seconds apart, tying the game at 2-2 with four minutes remaining in the first quarter. Men’s lacrosse fan, Nicole Denno, a sophomore, said that the McConvey’s chemistry works well on the field. “It seems like they have that sibling competitive drive to out-play each other on the field, which really works for them and the team,” she said. A late goal by the Great Danes gave them a one goal advantage over Vermont at the end of the quarter. Albany continued picking up their play, scoring two consecutive goals at the start of the second. The Catamounts’ defense fought hard in attempting to keep out their competitor from shooting at junior goalie Nick Washuta. 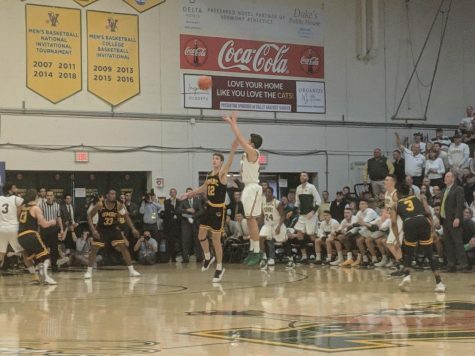 Jake Clarke, a Burlington local who has “followed Vermont’s lacrosse team for years” said he was concerned with UVM’s inability to get the ball out of their defensive end. “Overall I think they’re working really hard, especially with those ground balls but they can’t seem to get it down to Albany’s goal,” he said. 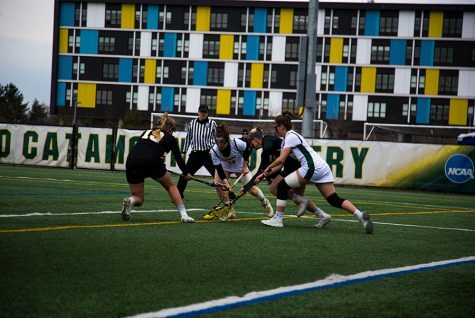 Throughout this game, UVM had many ground-ball pickups, resulting in a 39-22 advantage over Albany at the end, according to UVM athletics. The third quarter started with first-year Sal Aria and senior Jack Knight, both midfield players, each scoring in the first three minutes of play. However, Albany quickly retaliated with two, widening their lead back to a three goal advantage at 8-5 over UVM. Vermont gained back momentum with consistent face-offs from senior offensive forward Alex Semler. 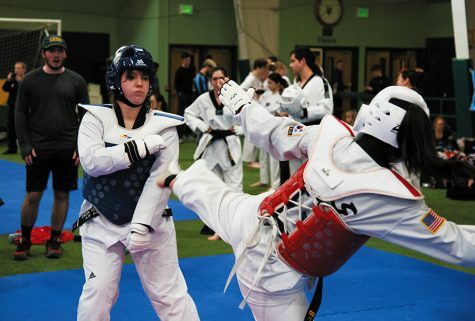 “I am especially happy for Alex Semler, who has been working extremely hard at his craft every week which paid off today and made this win possible,” Feifs said. Thomas McConvey scored back-to-back goals in less than a minute late in the third quarter, which narrowed the scoreboard gap to a one goal advantage for Albany. McConvey’s two additional points, attributed to his first career hat trick for Vermont, according to UVM athletics. Washuta said that the Catamounts played with a sustained energetic presence. “Definitely played our best today and showed out that come-back,” he said. Forward Ben French, a junior, scored his first goal of the game to tie-it up at 8-8 with ten minutes left. Albany quickly responded and sent one in the back of the net, restoring their advantage over the Catamounts. Iaria scored his second goal of the game, assisted by Knight, tying the game back up. The crowd was anxious with anticipation; UVM students and fans loudly cheered in support. In an exciting end, junior attack Dawes Milchling scored the game winning goal, giving Vermont their first lead of the day. Dawes said he attributed the win to his fellow team members and that scoring the winning goal was “just [him] doing his job as a part of the team”. Semler won the final face-off, allowing the Catamounts to kill time by keeping possession until the final buzzer. 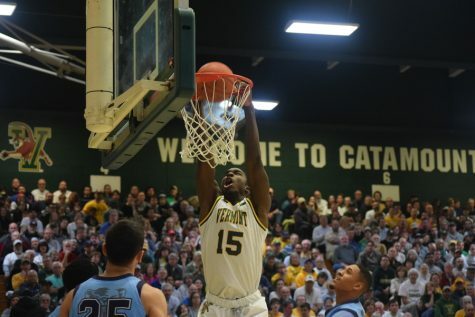 After the win, Vermont holds a record of 6-4 and 3-1 in the America East bracket, according to UVM athletics. Due to Saturday’s win, the Community Wins campaign and Vermont Mutual Insurance Group is set to donate $100 to Make-A-Wish Vermont. The Catamounts play their next game and final America East road game of the season Apr. 13 away at Binghamton University in Binghamton, NY.